Since multiplexes are crammed with lousy movies this month (with the exception of the solid “The Amazing Spider-Man), you might want to run to your nearest DVD store and get this feel good, family friendly film. 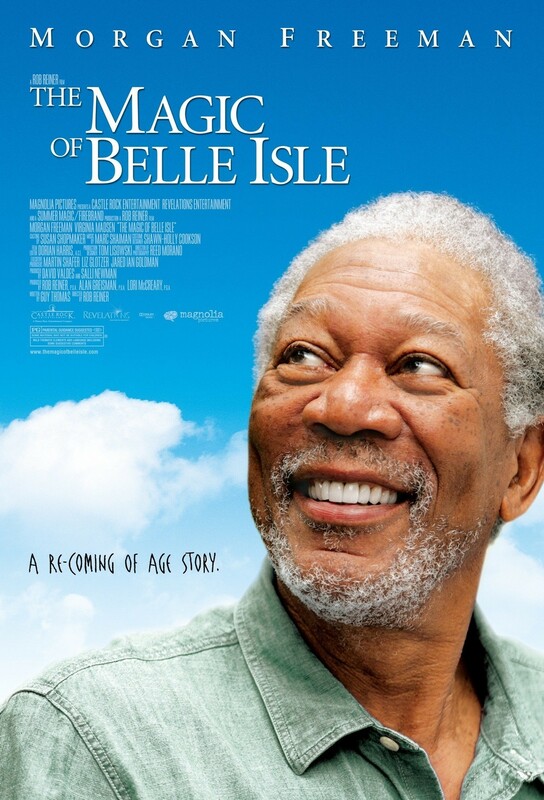 Plus the fact that it stars the great Morgan Freeman is reason enough to check it out. It’s not a great movie (far from it), but it will most definitely put a smile on your face. Freeman plays a misanthropic author, bound to a wheelchair, who doesn’t write any more and is content to spend most of his days drinking. An easy target is his nephew, Henry (Kenan Thompson), who makes arrangements for him to housesit a small house during the summer in a quiet upstate New York lakeside town. There, he meets his next-door neighbor, a soon-to-be divorced woman (Virginia Madsen), and her three daughters. If this sounds too familiar, let me assure you that you wouldn’t mind it at all. Of course doubters may attack the story’s simplicity and optimism, but Freeman and the rest of the cast are merely interested in giving us a good time at the movies, nothing more, nothing less. I don’t see why someone would dismiss it for not being “original” enough. The movie is sweet, heartfelt, and harmless. While it may not win a spot on the shelf next to the year’s best movies, at least it won’t be mentioned in the same sentence with the year’s worst movies either. “The Magic of Belle Isle” falls somewhere in between. And if you’re a Morgan Freeman fan, you’ll most definitely enjoy it.